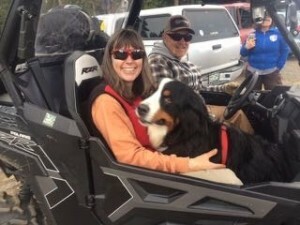 SARDOC is so sad to lose Finya, a beautiful Bernese Mountain Dog certified in Air Scent. Finya spent many years as the dedicated and comical partner of Ina Bernard. The team fielded with SARDOC and Pueblo ESB. Finya was 10 years old and loved working on the water and with HRD as well as running through the woods working on airscent missions.